This recipe for honey roasted fig and burrata crostini makes a creamy, dreamy sweet and salty appetizer. And it’s easy! 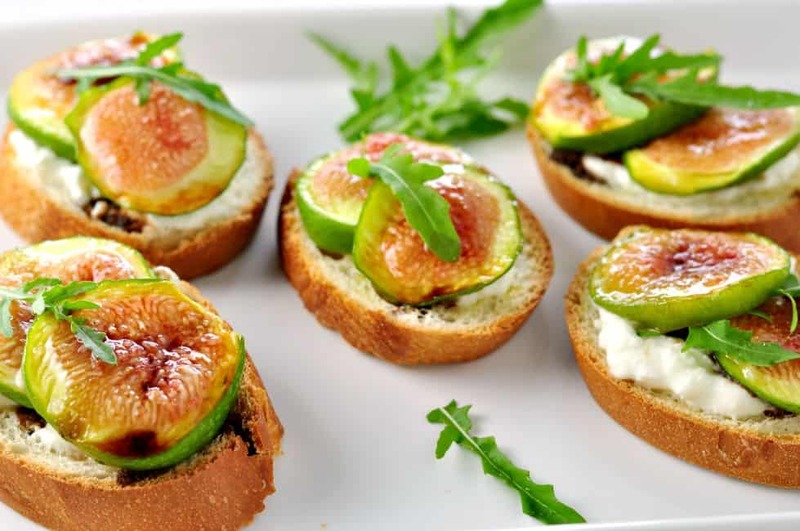 These honey roasted fig and burrata crostini are simple to make but have a guaranteed “Wow!” factor! As you’ve read in this space, we spent several weeks traveling in Spain this spring. 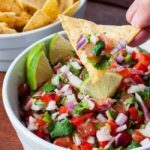 Traveling to me is just one food adventure after another. As soon as breakfast is over, I’m planning where to eat lunch and dinner. We loved trying Spanish cuisine, especially the tapas, and as soon as I came home, I got busy re-creating dishes we had eaten, including these Spanish Spiced Almonds, Tortilla Española, Bacon-Wrapped Stuffed Dates, Salmorejo Chilled Spanish Soup, Spicy Stuffed Mini Peppers, and Bacon-Wrapped Prawns. But in all honesty, I’m an Italian at heart. No, not my ancestry–that’s English and Scottish–but I adore everything about Italian cuisine. Italians seem to have a particular talent for drawing every last ounce of flavour from their food. They just seem to know how to combine foods that naturally complement one another. 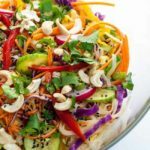 Their warm sunny climate produces fruits and vegetables that simply ooze with flavour. And something that simple oozes with sweet flavour are figs. The first time I had a fresh fig was in Umbria, near Assisi. I could not believe that I had lived that long without experiencing that naturally sweet juicy little mouthful, picked straight from the tree. 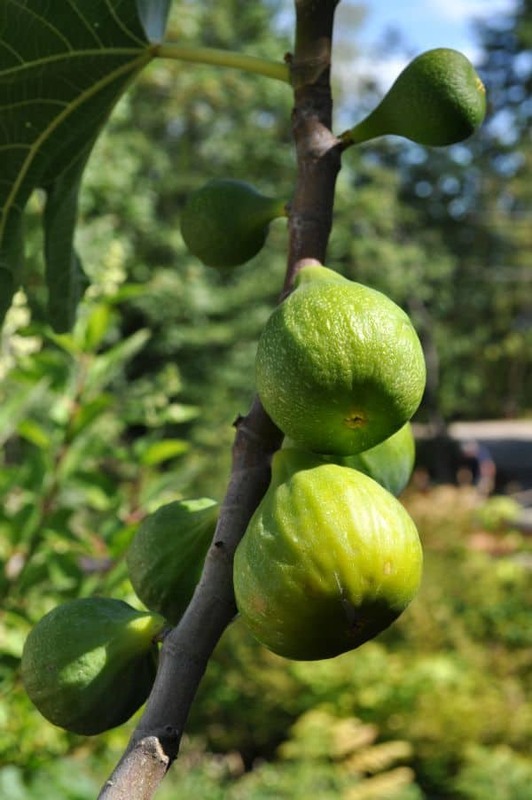 Since then, I’ve planted two fig trees and one has produced an abundance of figs this year. And Italian cheese! We all know how delicious true Parmiggiano Reggiano is. Have you ever tried Pecorino cheese drizzled with honey? Firm salty cheese with warm silky honey . . . as I said, the Italians are masters of combining flavours. 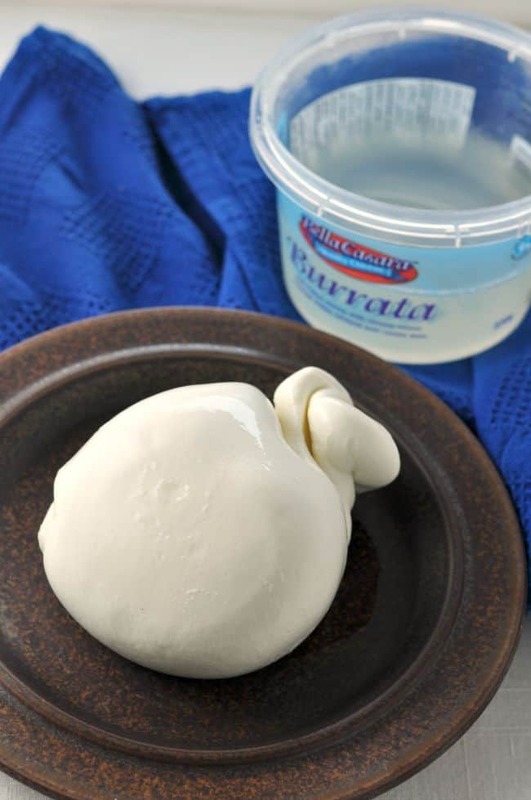 I found another cheese with Italian origins, Burrata, at the new local deli in my neighbourhood and pounced on it. The best way I can describe it is a pouch made of fresh mozzarella filled with cream. 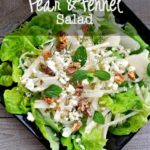 When you slice into it, a rich creamy cheese oozes out. It’s pretty much heaven on a plate. So with figs in my garden and burrata in my fridge, I decided to combine the two for a happy hour appetizer. 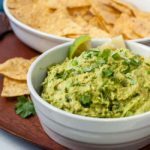 I hope you get a chance to try these, too! Slice a baguette and toast the slices with a little olive oil. Brush fresh fig slices with a little local honey. Broil them in the oven. Top the crostini with burrata, the honey-roasted figs and drizzle a little balsamic vinegar on top. Serve! 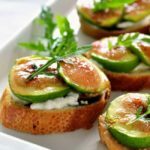 Looking for other crostini ideas? Check 5 tips for Making Crostini. 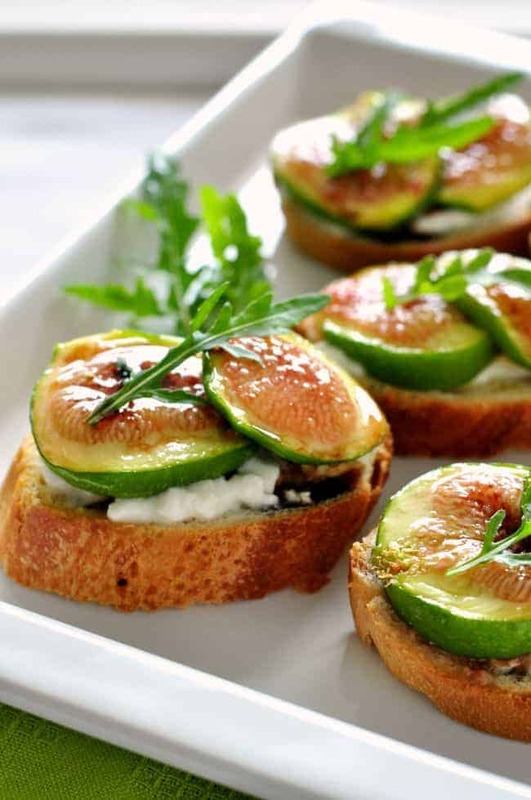 These honey roasted fig and burrata crostini are simple to make but have a guaranteed "Wow!" factor! Lay the fig slices on a parchment paper lined baking sheet, brush each with 1/2 teaspoon of honey and broil with the rack in the highest position, just until honey has melted and started to bubble, about 4-5 minutes. Watch carefully. 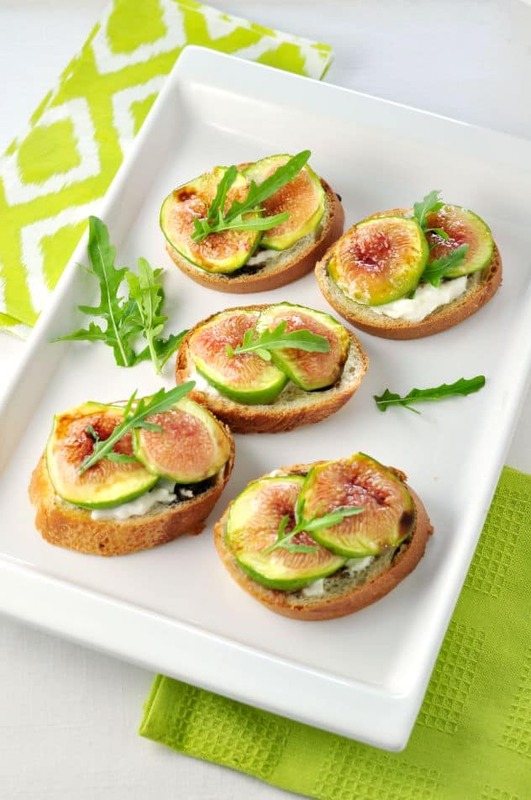 Spread each crostini with 1 Tablespoon burrata cheese and 2 fig slices. Drizzle each crostini with 1/2 teaspoon balsamic vinegar. Where did you find the burrata? I am in the valley too! Hi Mary! I got it at Cure Artisan Meat and Cheesein the Valleyview Centre. Such a great little shop! All kinds of artisan cheese.